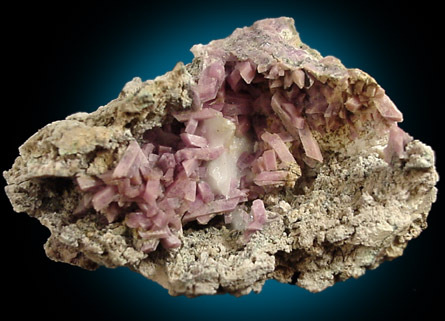 Description: Many pink inesite crystals lining the inside of a shallow pocket in vuggy matrix. 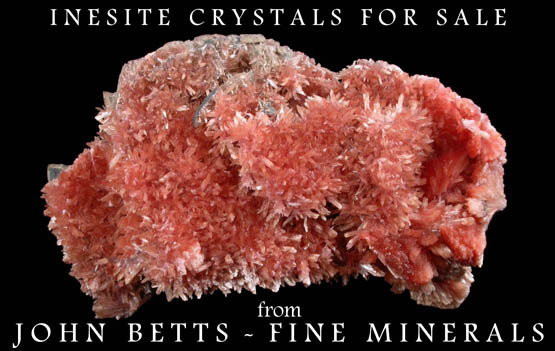 The inesite crystals are very distinct and lustrous. 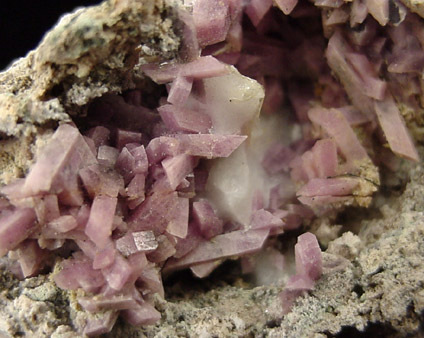 A good specimen from an old locality.